Modest Fashion Week is coming for the second time to Dubai! This time with lots of powerful message: From Women to Women. The event itself is born from the grass-root from Women to Women. Franka Soeria and Ozlem Sahin – the founders, are self-funded entrepreneurs with a vision. These two women from 2 different countries (Turkey and Indonesia) have completely different look but has the same interest: Modest Fashion. “We never imagine that we will reach this mile stones. It was started with a concept. With the non-stop efforts and collaborations spirit; we made it as a global brand. We made Modest Fashion Weeks in Istanbul, London, Dubai, Jakarta. When we see our achievements, people really think that Modest Fashion Weeks series is made by giant company- which is not. The events are created by us- two women with passion and we manage to make the these known globally from one city to another. With the growth of our events, we have help creating global names in modest fashion, people really find us as the right platform to amplify their achievements. It’s a trust that we got from them and we want to keep on going creating great things. To take things to another level…” told Franka Soeria- the cofounder which is originally from Indonesia. “As Think Fashion, we made many initiatives so far, we have our offline selling channels to help brands sell their products, now we have Modestcatwalk.com – a marketplace dedicated for Modest Fashion Weeks designers with the concept From Catwalk to Your Wardrobe. We also have Council of Modest Fashion- which will be the biggest and most trusted modest fashion collective worldwide ” said Ozlem Sahin- the cofounder from Turkey. 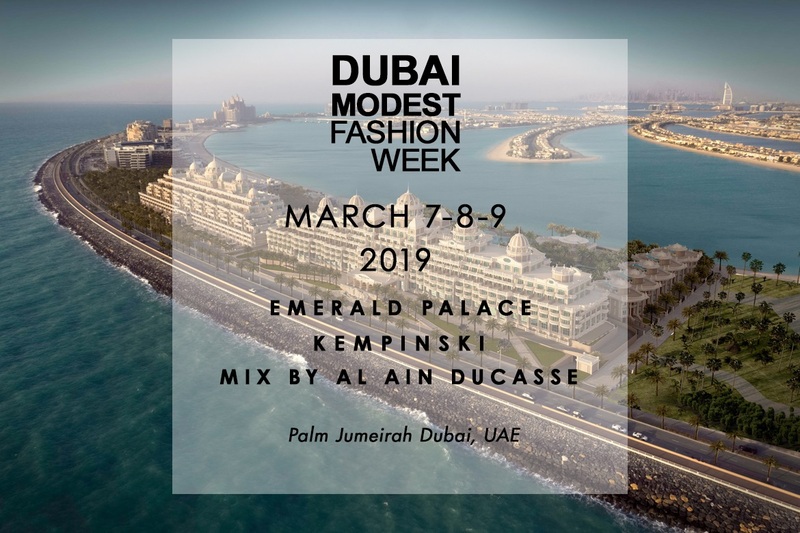 This year Modest Fashion Week’s series will kick off in Dubai: Dubai Modest Fashion Week on March 7-9 at miX by Alain Ducasse restaurant, situated at Emerald Palace Kempinski Dubai- Palm Jumeirah, UAE. It will be the second time they do the event in Dubai, the first time that they repeat a city. Dubai Modest Fashion Week 2019 or #DMFW 2019 will be presented in unique concept- fashion week in a rooftop. Highlighting International Women’s Day (March 8) & Fashion for Good. From Anotah from Kuwait, Imen Bousnina from Austria, Niswa Fashion, Lebasi and Wafa from USA, Mariyan Suleymanova and Ahada from Russia, Sempre and Qras from Turkey, The Hijab Lee and Asiya Rafiq from India, Mayada Apparel from Canada, Kazeca Studio from Australia, Zeina Ali and Hama Yassen from Jordan, Raidha’s from Maldives, Lavia Abaya from Thailand, Devi Janeeta from Indonesia, Boutallion from Netherlands, Victoria Design from Estonia to S by Samar, JG Couture and My Kaftan from UAE.